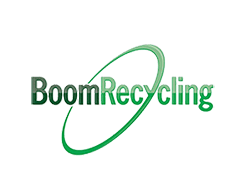 Boom Recycling provides waste and recycling services for commercial, industrial and manufacturing industries. Boom Recycling provides all-inclusive waste and recycling management through implant services and vendor consolidation programs. These programs provide the management necessary to achieve all waste and recycling goals as well as consolidating all non-core vendors to provide one point of contact and one monthly invoice for all processes to the host customer.